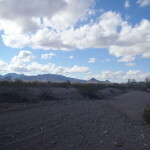 The Arizona desert is covered with evidence left behind by people long ago. 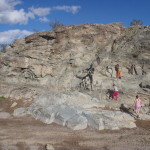 Several sites close to Quartzsite, you can find grinding holes in the bedrock, along with petroglyphs and other markings. 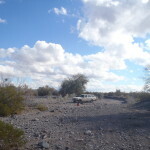 The ones we found were very close to town, and had a nice dirt road to get there (much more subdued than the road going to one of the gold claims). 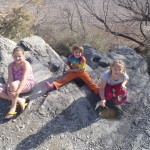 While looking around the area, we found some rocks for the girls to keep, they love making jewelry and other crafts with some of the more interesting stones. 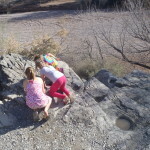 Here are the grinding holes at this particular site. 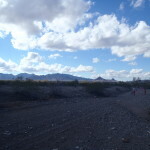 They are filled with water from the very recent rains, it had not been hot enough for them to dry up yet. 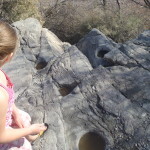 These holes were used to grind grains into flour for cooking purposes, it is hard to imagine how much grain had to be ground here to make these holes this deep. 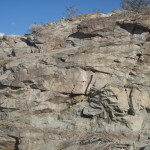 These cliffs across from the grinding holes have petroglyphs drawn on them. 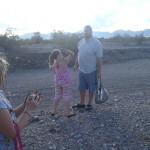 You can’t see them in any of the pictures, which is too bad since they are very interesting. 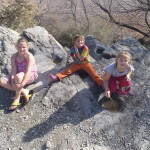 The girls loved climbing on the cliffs, and posing for pictures. 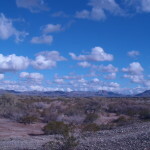 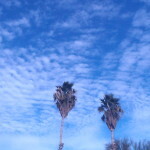 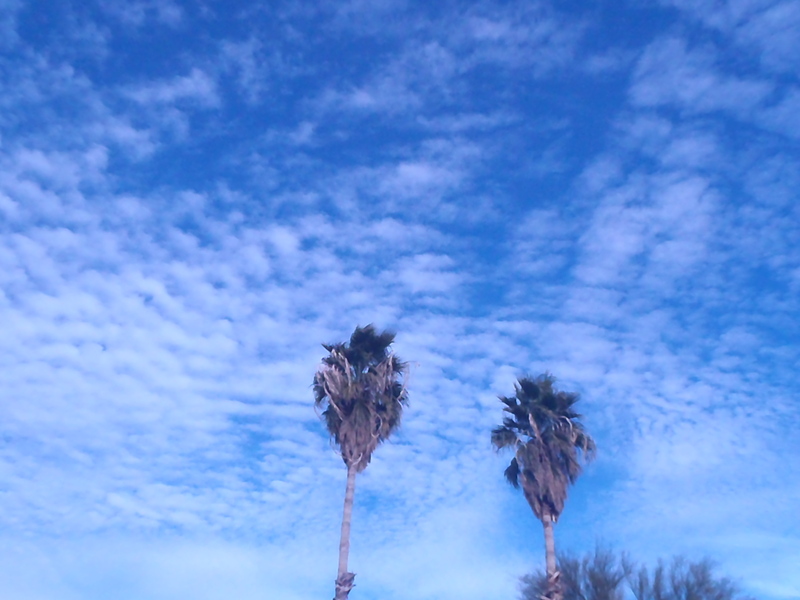 The clouds in Quartzsite created some awesome backdrops during our time there. 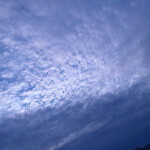 These panoramic pictures were generated by our digital camera. 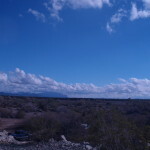 You can see break between the different images, but I think it gives you an idea of the scenery. 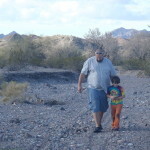 We enjoyed our time in Quartzsite, and plan to do it again sometime down the road. 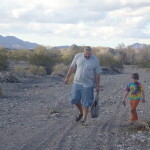 New adventures await as we head out of town toward Las Vegas…. 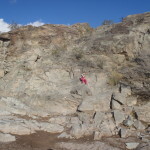 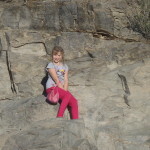 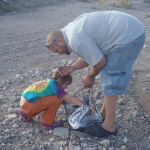 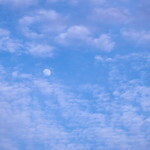 This entry was posted in Family Fun, Hiking and Exploration on March 22, 2013 by Jody.